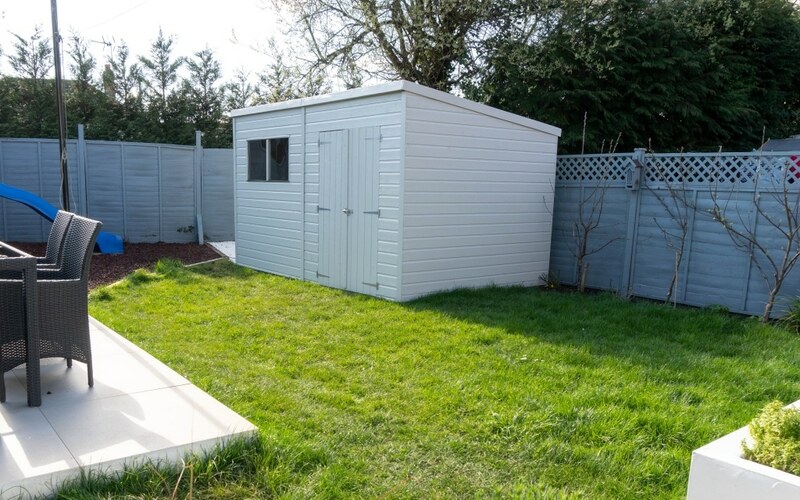 I never realised there were so many things I had to think about when it came to buying a shed! 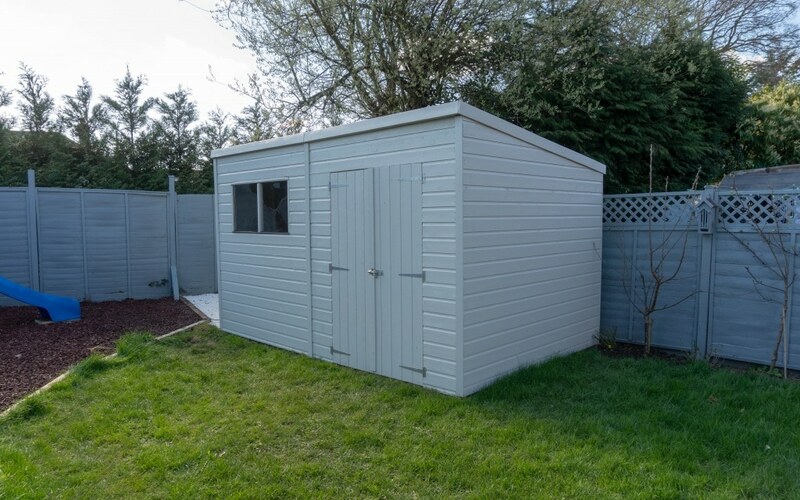 I wrote a blog post on tips on buying a shed as I could have really done with one when I was looking around! But the decisions don’t just stop at the shed, it’s what it sits on as well! I was looking around at options on what to sit our new shed on, and there was so many of them! After spending a fair amount on the shed I wanted it to be looked after. 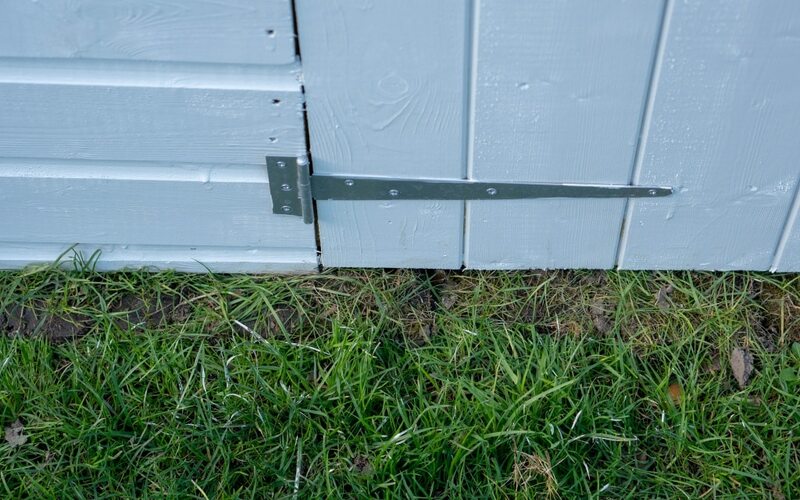 You don’t want to have wonky shed base as then it puts pressure on the shed joint and the shed will deteriorate quicker. In the end, we decided we would go with the plastic shed base option. 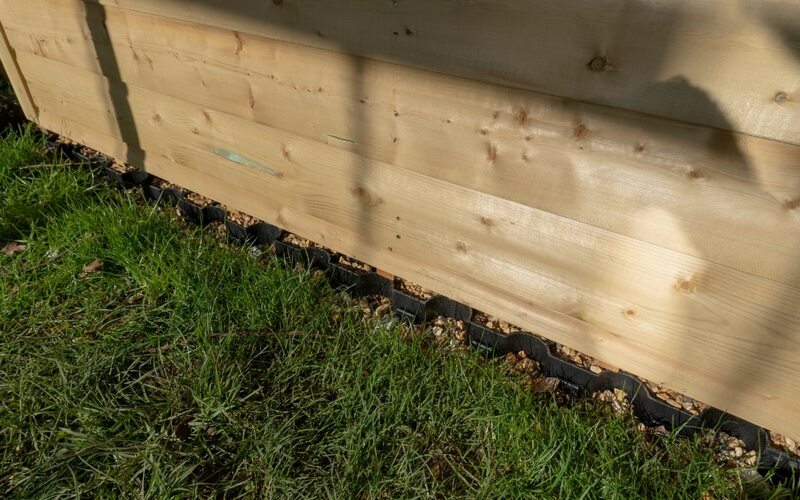 Why Did We Choose The Plastic Shed Base? I decided this was the best option for us due to ease of fitting and it also allowed the water to run away from the bottom of the shed, rather than rain left sat on the base. 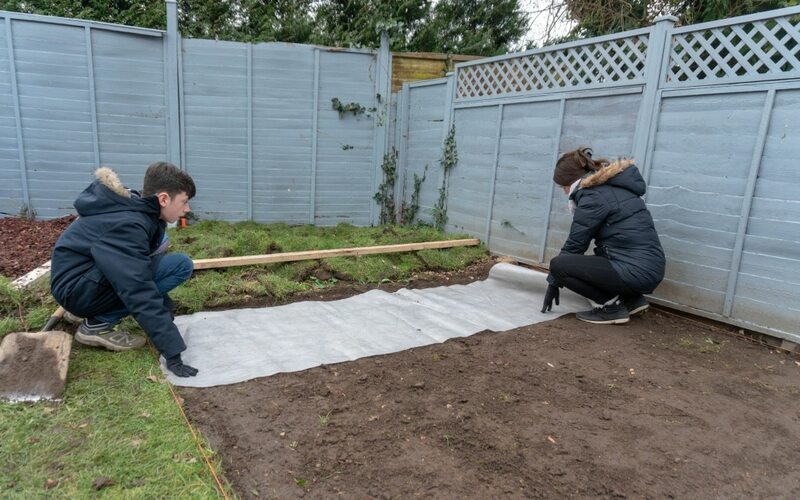 I liked the fact that the plastic shed base was eco-friendly due to being made in the UK with 100% recycled plastics, it’s very durable, it can be used for years and over and over again. 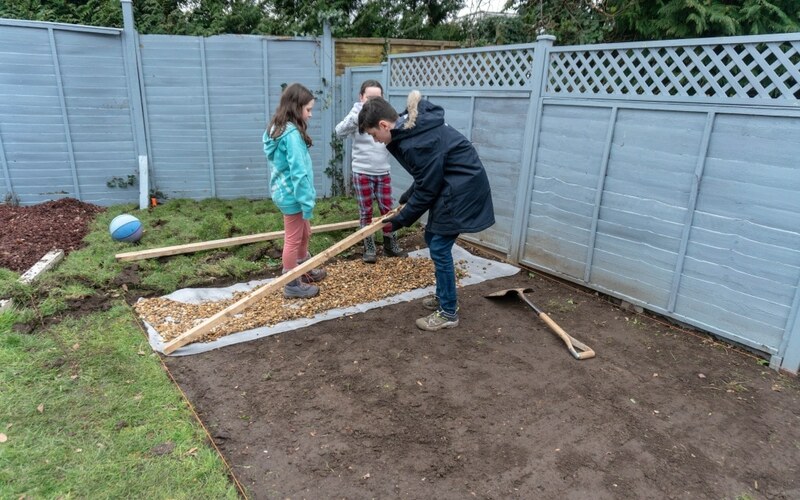 We could also cut it and shape it to any size we wanted and allowed us to be able to create another gravelled area to the side where we will be placing our cushion box and BBQ. 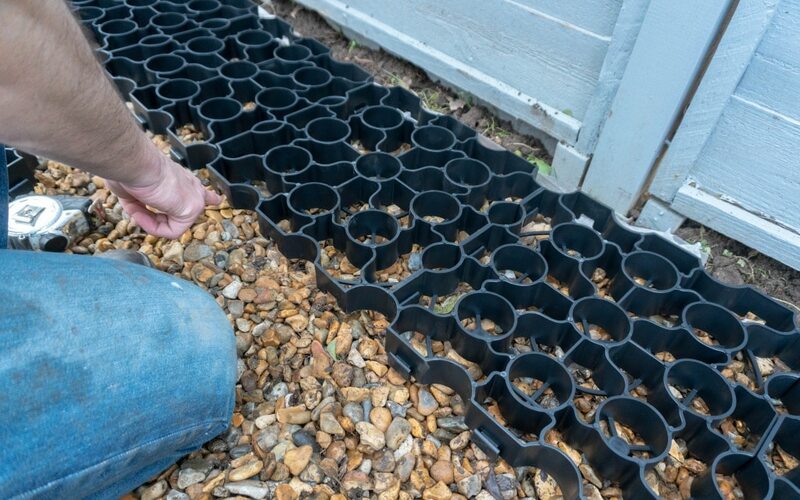 How Does The Plastic Shed Base Work? 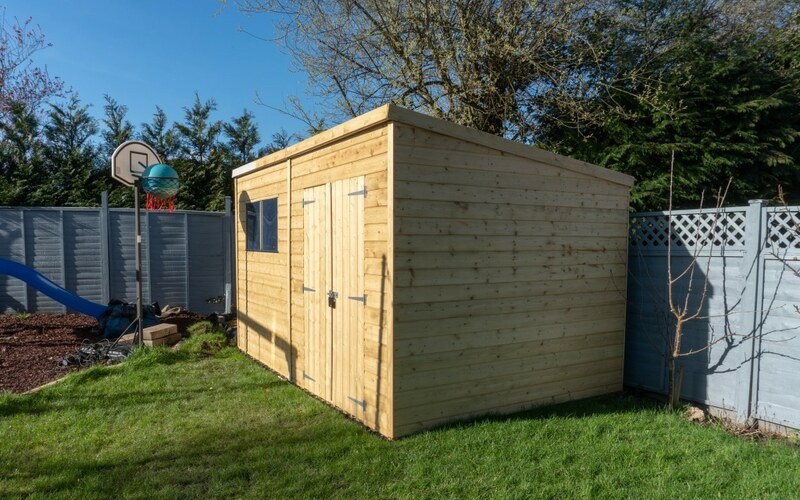 Once you’ve decided where you want your shed, you need to measure up the base size you need. Use the handy calculate guide on the Plastic Shed Base Company website to find out how much you will need. The delivery will be calculated at the checkout as well. Each panel measures 33cm x 33cm and they all lock in together using the snap locking system. Make sure each piece is around the correct way and do one piece at a time. 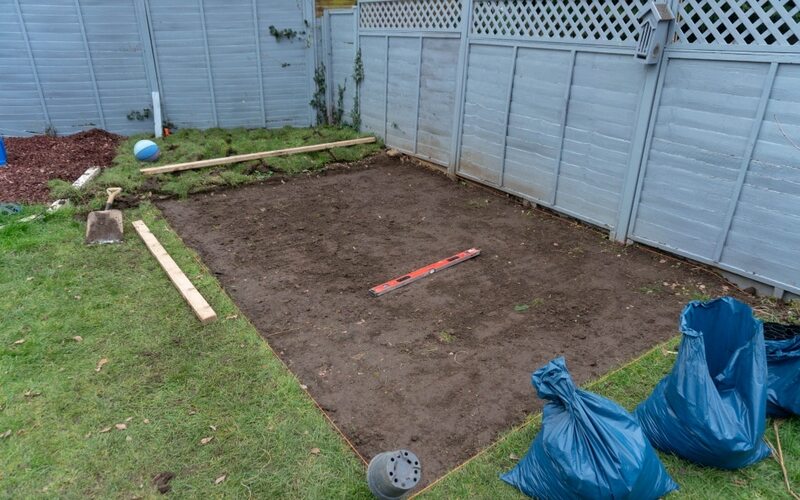 Once together and all the gravel is filled you will have a very strong and solid base for your shed to sit on. 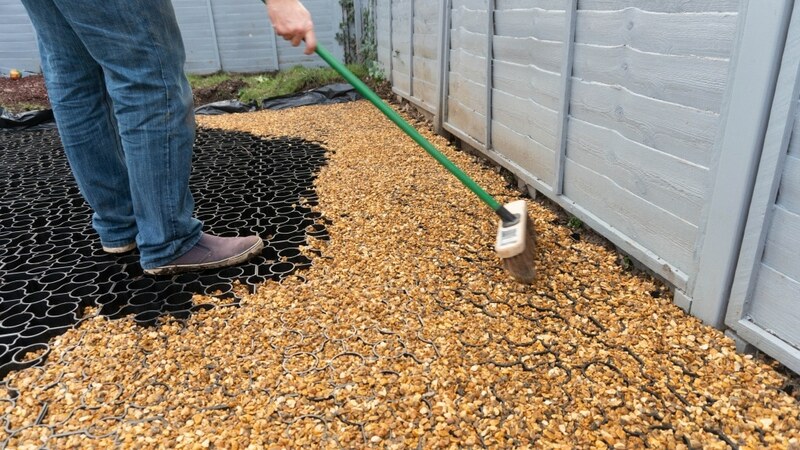 Allowing the water to drain through the gravel, keeping it away from the shed. 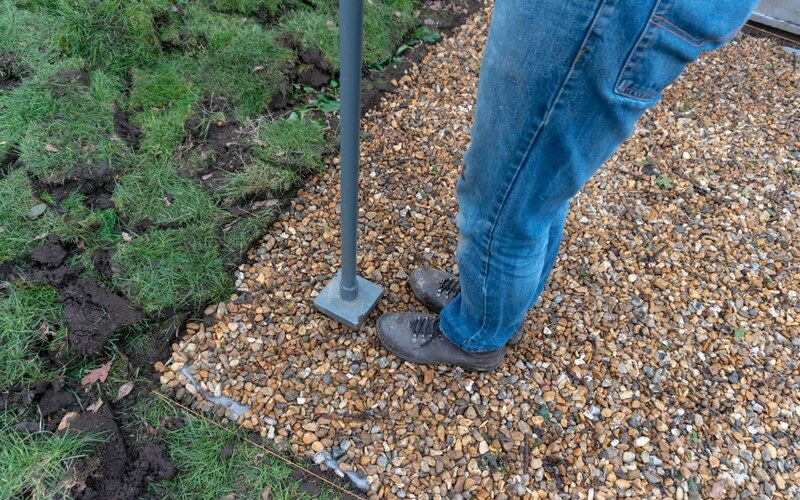 The Plastic Shed Base Company have made it as simple as possible to install. 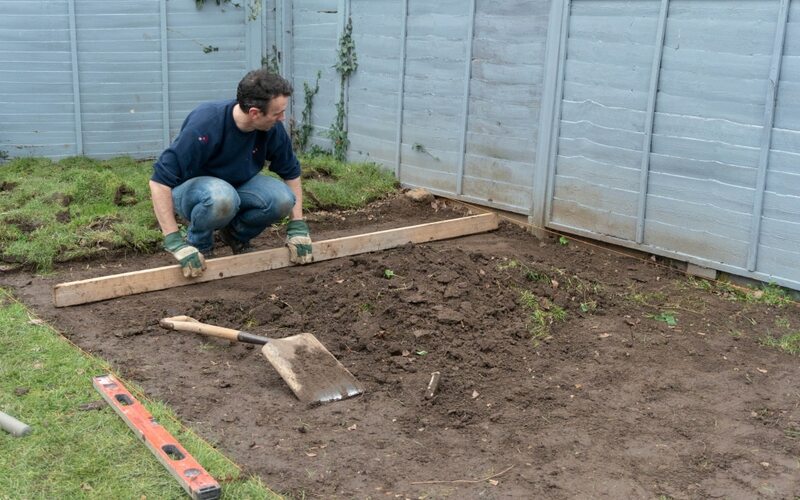 Measure, mark and start digging the area you need for the shed base. Making sure you dig deep enough down. All the instructions are on the company’s website and come with the products too. Once this is all level you need to add your weed membrane. 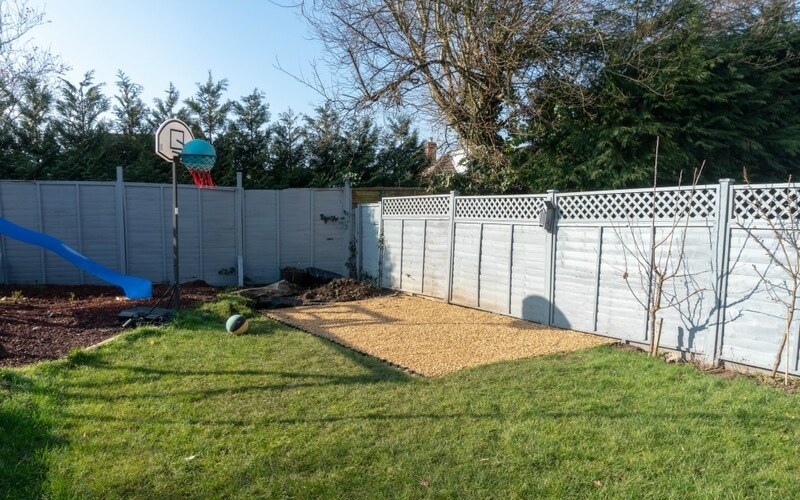 Once its covered, fill the whole area with gravel. Top tip: keep an eye out on local freeads or Facebook marketplace. We managed to pick up for free enough gravel to do the first base for this. Make sure it’s all stomped down! Then you’re ready to add the plastic shed base panels, one at a time and locking them all in together. Once you’ve got this all laid out you will find it’s quite wobbly or feels flimsy. Don’t panic! 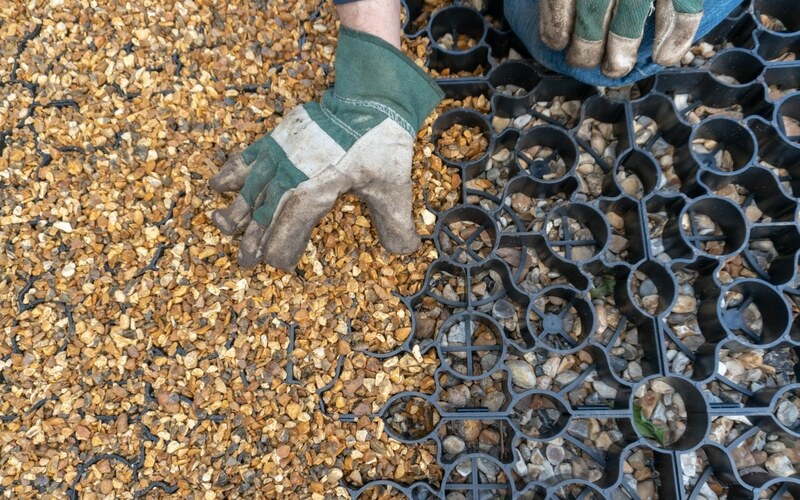 Now you need to fill the panels in with gravel between all the holes. As soon as you do this the panels become so solid and really sturdy. Then your base is done and ready for your shed! 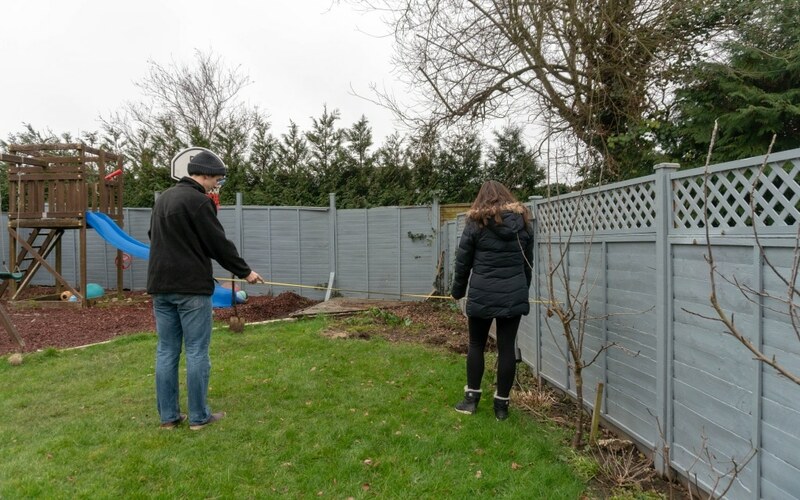 We finished off the look by adding some more turf right up to the shed edge, once it starts growing properly it will look lovely and like it’s been there for years. 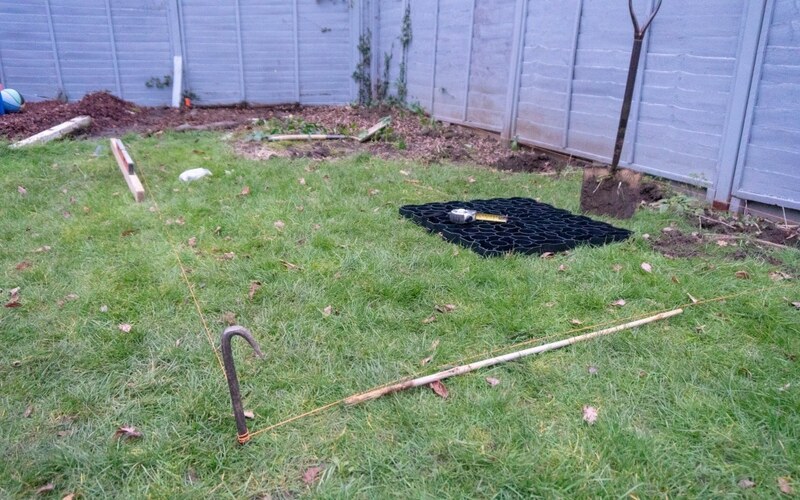 *We received the plastic shed base for the purpose of this review. However, all opinions are honest and of my own. 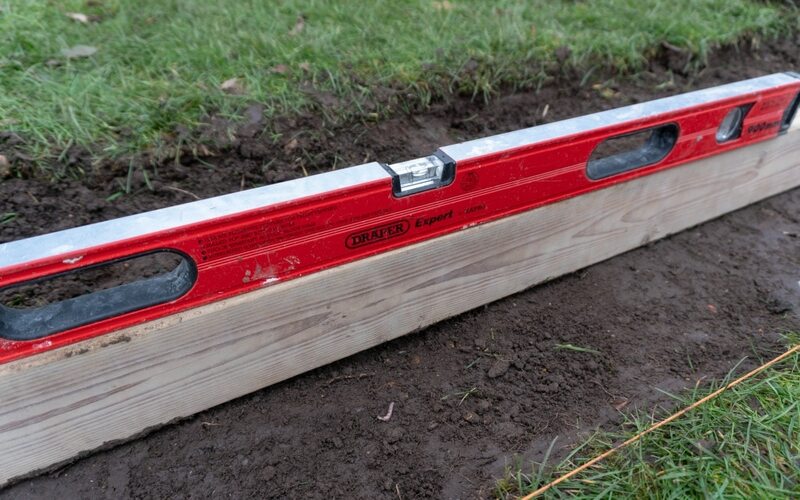 Ah if you ever need to lay a shed base again, go for this, so much easier! Wow so much work involved. I love the painted look. Thank you, it was worth the effort to paint it! When we bought a shed it came with a base so I had no idea that this even existed. It looks quite easy to install. Yes it was very easy, which is what we needed! My family are looking into getting a shed for the garden. The last shed we had rotted from the bottom and looked quite bad in the end. This would definitely help that a lot! We used this! It was really easy to lay, and stops the summer house sitting in water and rotting. I’ve never had to buy a shed, I hadn’t really thought about what it would stand on. This looks a great option! I’ve never had to buy one either, didn’t realise there was so much to think about when it came to it!! Oh this looks fab! 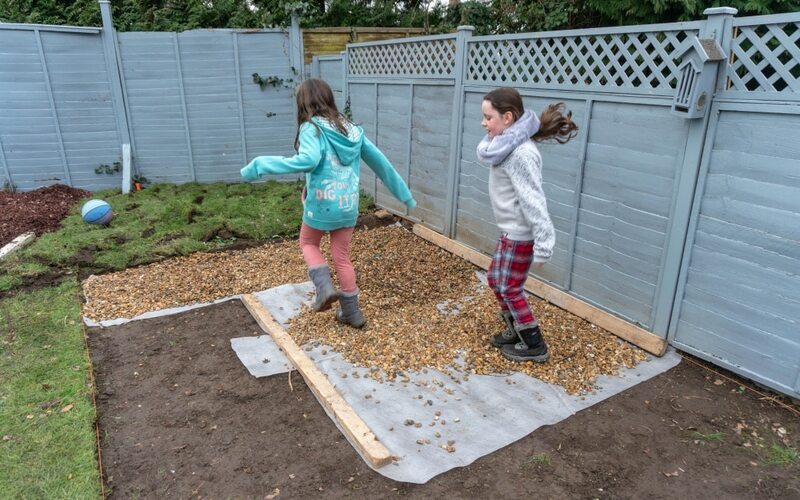 What a good idea too, I think our shed is just on the concrete – whoops! Now we just have to organise it!